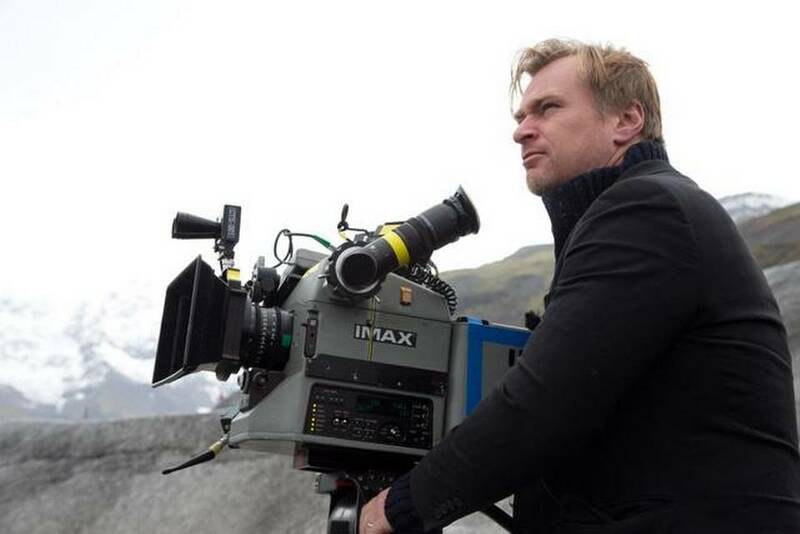 November news: Any month that starts with a new Christopher Nolan film, moves on to a "Hunger Games" sequel and wraps up with Thanksgiving weekend has got to be good news for Hollywood. Clearly, it's a safe bet the multiplexes will be humming as November unwinds. Unlike recent months that were jam packed with new titles, November is sparsely populated with just seven wide openings. Only two new films will arrive for weekends one and two and that will also be the case for the long Thanksgiving holiday. November's third weekend will see only one wide opening – but it's the first of two concluding episodes in the "Hunger Games" franchise, so it makes total sense that no one wants to open head to head with it. Here's a quick look at what's heading into wide release in the coming weeks. Wed., Nov. 5 is the IMAX blast-off date at about 250 theatres for Paramount, Warner Bros. and Legendary Pictures' much anticipated PG-13 rated action sci-fi mystery "Interstellar" with an expansion Friday to about 3,500 other theatres. Directed by Christopher Nolan, director of "Inception" and "The Dark Knight" trilogy, it stars Matthew McConaughey, Anne Hathaway, Jessica Chastain, Bill Irwin, Ellen Burstyn and Michael Caine. It's tracking in double digits as an overall first choice to see and doing best with 25-plus males and next best with under-25 males. In "Interstellar" Nolan chronicles a group of explorers' adventures using a newly discovered wormhole to surpass limitations on human space travel while conquering the vast distances of interstellar flight. Nolan's last sci-fi adventure "Inception" opened July 16, 2010 to $62.8 million and went on to gross $292.6 million domestically. It did $533 million in international theatres, bringing its worldwide cume to $825.5 million. "Inception" was nominated for seven Academy Awards, including best picture, original screenplay (Nolan), original score (Hans Zimmer) and art direction. It won for cinematography (Wally Pfister), sound mixing, sound editing and visual effects. Although Nolan received a writing nom, he didn't get into the directing race. In fact, he's never gotten a nod from the Academy's directors branch. His breakthrough film "Memento" brought him a shared original screenplay nom from the writers branch in 2002. He was, however, nominated by the Directors Guild of America for "Inception," "The Dark Knight" (2009) and "Memento." 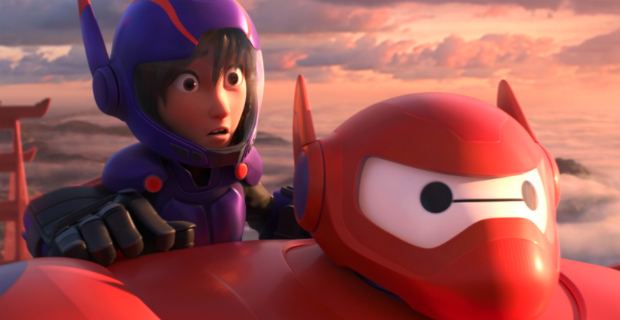 Disney's 3D animated PG rated action comedy "Big Hero 6," opening Nov. 7 at about 3,700 theatres, is from Walt Disney Animation Studios, the team behind "Frozen" and "Wreck-It Ralph." "BH6" is tracking best with 25-plus females, the moms-with-kids audience that animated features need to attract. It's also tracking nicely and equally well with under-25 females and under-25 males. Its story revolves around robotics prodigy Hiro (voiced by Potter), who withhis friends is suddenly catapulted into a dangerous plot unfolding in San Fransokyo.Hiro turns for help to his closest companion, the large inflatable robot Baymax (voiced by Adsit), and transforms the group into high-tech heroes out to solve the mystery. Nov. 14 is another weekend with just two new wide titles. Universal and Red Granite Pictures' PG-13 comedy sequel "Dumb and Dumber To" reteams the 1994 original's stars Jim Carrey and Jeff Daniels. It's directed by Peter and Bobby Farrelly, who directed the first "Dumb and Dumber" and other hit comedies like "There's Something About Mary" and "The Three Stooges." "Dumb" is tracking in double digits overall and doing best with over-25 males. But it's also scoring well with under-25 males and doing okay with under-25 females. This time around Lloyd (Carrey) and Harry (Daniels) take a road trip to find the long lost child Harry never knew he had -- and the responsibility neither of them should ever be given. The series' original opened Dec. 16, 1994 to $16.4 million and did $127.2 million domestically. The next episode, "Dumb and Dumberer: When Harry Met Lloyd," was not directed by the Farrelly Brothers, but by TV director Troy Miller and didn't star Carrey and Daniels. It opened June 13, 2003 to $10.8 million and grossed $26.3 million domestically. Relativity Media's PG-13 drama "Beyond the Lights"is written and directed by Gina Prince-Bythewood ("The Secret Life of Bees") and stars Gugu Mbatha-Raw, Minnie Driver and Aisha Hinds. It's tracking best with 25-plus females. 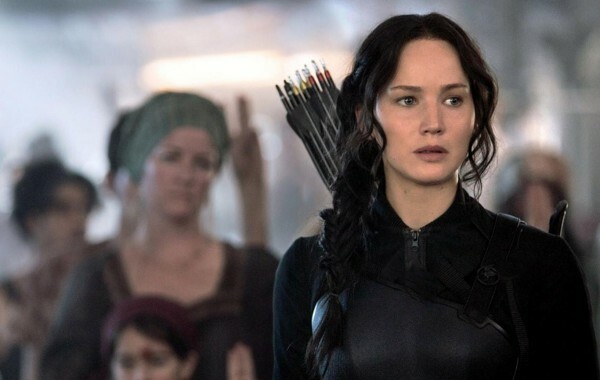 Nov. 21 should find women of all ages heading for the multiplexes to see Lionsgate's sci-fi adventure "The Hunger Games: Mockingjay -- Part 1"from Francis Lawrence, director of "The Hunger Games: Catching Fire. "Starring are Jennifer Lawrence, Josh Hutcherson and Liam Hemsworth. "M1" is tracking through the roof already in double digits as a first choice film with enviably huge scores for under-25 females, the franchise's core audience. It's also tracking well with 25-plus females and even pulling double digit scores from men under and over 25. With that kind of four quadrant marketing playability, it should dazzle at the boxoffice. The series' first film, "The Hunger Games," opened Mar. 23, 2012 to $152.5 million and ended up doing $408 million domestically. It did $283.2 million in international theatres, bringing its global cume to $691.2 million. The second episode, "The Hunger Games: Catching Fire," opened Nov. 22, 2013 to $158.1 million and did $424.7 million domestically. It did $439.9 million in international theatres and had a worldwide cume of $864.6 million. "M1" is the first in the blockbuster series' highly anticipated two-part conclusion. "Mockingjay – Part 2" is scheduled to open via Lionsgate Nov. 20, 2015. After shattering the Games forever, Katniss (Lawrence) spreads her wings in "M1" under the leadership of President Coin (Julianne Moore) and the advice of her trusted friends, fighting to save Peeta (Hutcherson) and a nation moved by her courage. Thanksgiving Day is Th., Nov. 27, but Hollywood will start the festivities on Wed., Nov. 26 with two wide releases targeted to holiday audiences over the long holiday weekend. And "M1," of course, will be a very potent factor in the Thanksgiving marketplace in its second weekend of release. Young adults are the target audience for Warner Bros. and New Line Cinema's R rated comedy"Horrible Bosses 2,"directed by Sean Anders ("That's My Boy"). In the sequel, Jason Bateman, Charlie Day and Jason Sudeikis return as Nick, Dale and Kurt, who now want to launch their own business and be their own bosses. After a slick investor interferes, the hopeful entrepreneurs hatch a misguided plot to hold his adult son for ransom to regain control of their company. The original "Bosses" opened July 8, 2011 to $28.3 million and did $117.5 million domestically. Families will be the target audience for DreamWorks Animation and 20th Century Fox's PG rated 3D animated adventure comedy"Penguins of Madagascar"from the creators of "Madagascar." Directed by Eric Darnell (the first three "Madagascar" episodes) & Simon J. Smith ("Bee Movie"), it stars the voices of Tom McGrath, Chris Miller and Christopher Knights. The original "Madagascar" opened May 27, 2005 to $47.2 million domestically and wound up doing $193.6 million. It did $193.6 million internationally, bringing its global cume to $532.7 million. "Madagascar: Escape 2 Africa" opened Nov. 7, 2008 to $63.1 million domestically and did $180 million domestically. It did $423.9 million internationally, bringing its global cume to $603.9 million. "Madagascar 3: Europe's Most Wanted" opened June 8, 2012 to $60.3 million and grossed $216.4 million domestically. It did $530.5 million internationally, bringing its global cume to $746.9 million. We're told in the new episode that super spy teams aren't born -- they're hatched. And we discover the secrets of global espionage's greatest and most hilarious covert birds. These elitist birds join forces with The North Windundercover group to stop the villainous Dr. Octavius Brine from destroying the world. Bottom line:Turkeys aren't on Hollywood's tasty multiplex menu for November, but there should be plenty of boxoffice gravy.